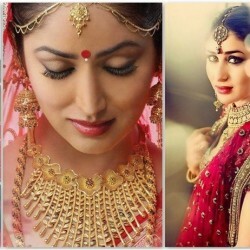 Bollywood weddings have always been the talk of the town for one or the other reasons. While some of the weddings have prove their metal over the time, the ship of others sink in the storm aroused by their loved one but as they say, weddings are made in heaven so what’s written in the stars cannot be erased. 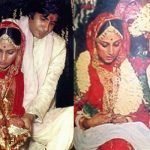 Check out some of the most talked about Bollywood weddings of the famous actresses which made the headlines of the tabloids. 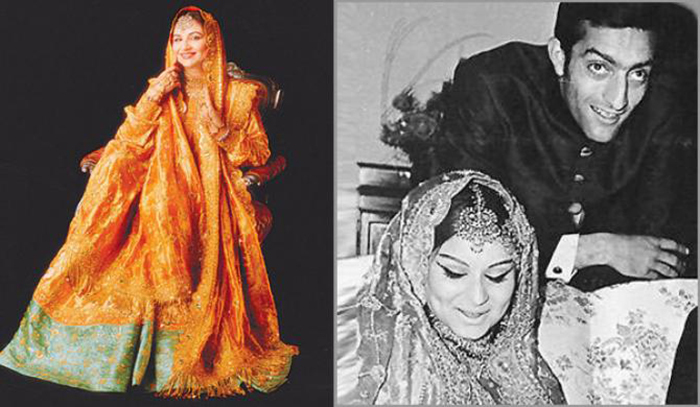 Veteran actress Sharmila Tagore and Mansur Ali Khan, Nawab of Pataudi’s wedding was the talk of the town during the 90’s. 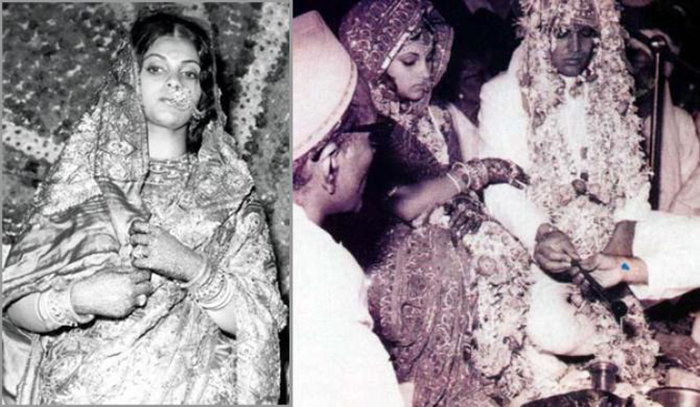 Initially, Sharmila Tagore was not inclined towards Nawab Sahab but later on she was smitten by his sense of humour and they both tied the knot on December 27, 1969. Love sees no age it only sees what is in your heart. This is true in the case of iconic Bollywood actor, Dilip Kumar and Saura Banu who is 22 years younger than Dilip Ji. 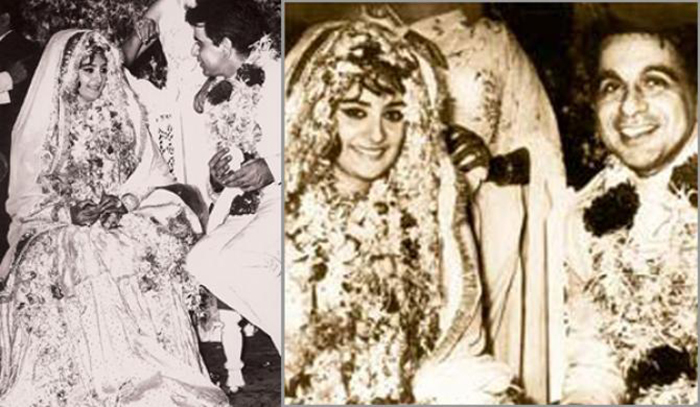 Though the couple faced many problems after Dilip Kumar married Asma Rehman in 1980 but the marriage didn’t last long. Dilip Kumar then remarried Saira Banu and the duo is still rocking. When Rishi Kapoor, the chocolate boy of Bollywood and Neetu Singh, one of the most sought after the heroine of that time got married, the hearts of millions of young boys and girls were broken who once dreamt about marrying the shining stars of Bollywood. 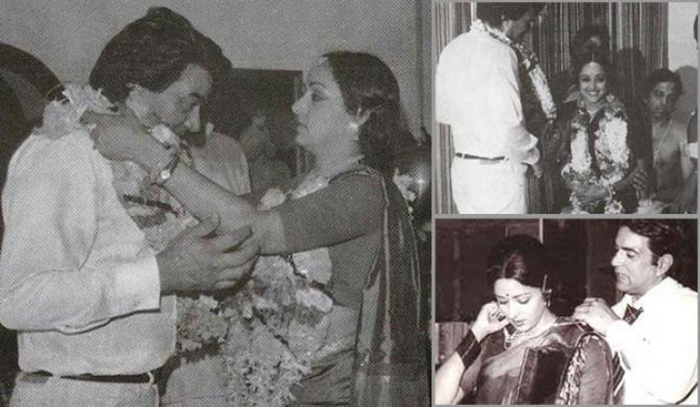 When the Dream Girl, Hema Malini and the Handsome Hunk of Bollywood, Dharmendra got married it made the headlines of the newspapers and magazines as Dharmenda had remarried without giving a divorce to Navneet Kaur who was his first wife and the mother of four children. 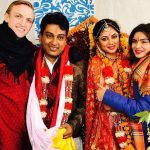 The couple then converted into Islam for getting married and have two daughters Esha and Ahana. Dimple Kapadia and then Superstar, Rajesh Khanna’s married life had been a roller coaster ride but the couple never divorced even after having turmoil in their relationship. Rajesh Khanna who was 15 years older than Dimple Kapadia had several flings even after his marriage. It is said that Kaka’s stardom, his ego and addiction to alcohol lead to his downfall. Even after his demise people remember the Mega Star for his acting, his style and his suave looks that could sweep any woman off her feet. 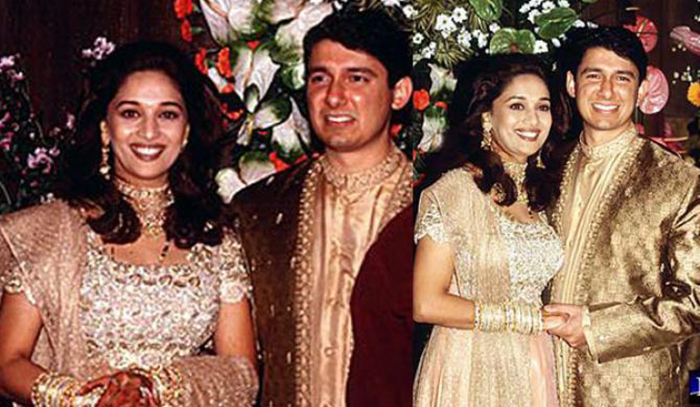 The Queen of Hearts Madhuri and Dr. Sriram Nene who is a UCLA cardio vascular surgeon make a charming couple. The lovebirds are happily married and were settled in the United States till 2011, after which they shifted back to Mumbai. 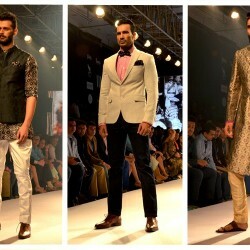 The couple is blessed with two children Arin and Rayaan Nene. 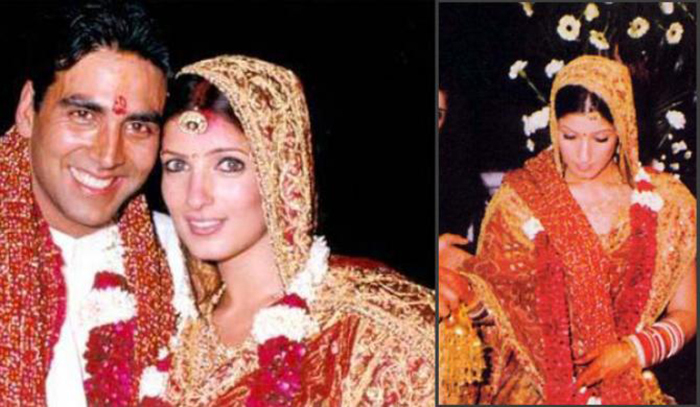 It is said that Maduri had a serious affair with Sanjay Dutt before getting married to Nene but their relationship didn’t blossomed and ended soon. 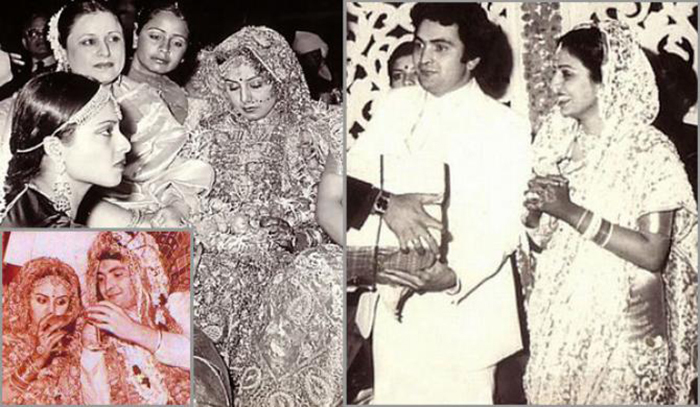 When Shri Devi and Boney Kapoor tied a knot it sparked a fire in Bollywood industry as Boney Kapoor had opted out of his first marriage. Many speculated that their marriage won’t last long but the couple is happy and are blessed with two lovely daughters whom Shri is grooming for making a grand entry in Bollywood industry. One of the cutest and most cheerful couple of Bollywood, Twinkle Khanna and Akshay Kumar are the fittest couple who give a tough competition to the new love birds for their body and style. Though Akshay romanced many of his reel life heroines but it was Tinkle that finally caught his eyes and they both got married. While many speculated that the marriage won’t last more than a year, the couple has proved them wrong as they are happily married forever. The gorgeous Raveena Tandon and film distributor, Anil Thadani started dating during the making of her film Stumped (2003). 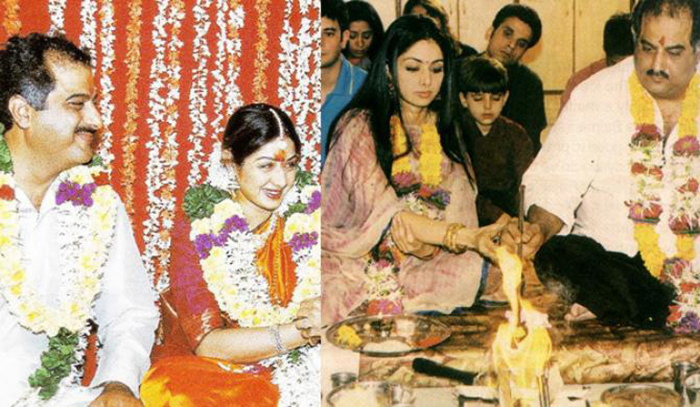 The duo fell in love and got married on 22 February 2004 in Jag Mandir Palace in Udaipur, Rajasthan. 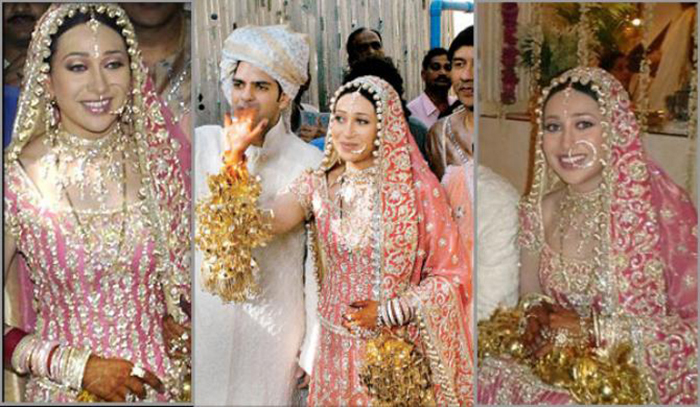 Karishma married business tycoon, Sunjay Kapur in September 2003. Initially, everything seemed to be fine but problems started knocking her door soon after her daughter, Samaira’s birth but the couple did not part their ways. It was after Kiaan’s birth in 2010 that Karishma who was fed up of her husband’s debauchery moved to her mother, Babita’s house. 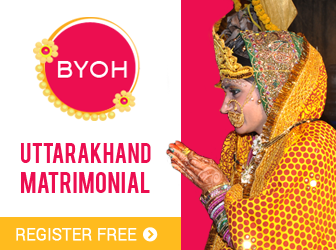 In 2014 Karishma filed for a divorce which made the headlines of the newspapers.